New Orleans Saints quarterback Drew Brees talks to FOXBusiness.com’s Jade Scipioni about his new role as co-owner of the fitness franchise, Title Boxing Club. 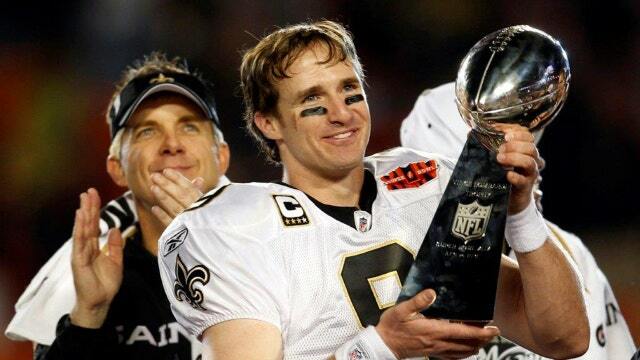 He led the New Orleans Saints to victory in Super Bowl XLIV in 2009, earning him the title of Most Valuable Player. Now NFL quarterback Drew Brees is hoping to lead consumers to the boxing ring as the new co-owner of the fitness franchise, Title Boxing Club. Title Boxing Club, which offers boxing and kickboxing classes (there’s no fighting), was founded in 2008 by former professional boxer Danny Campbell. Last year, Inc. Magazine ranked the company as the No.1 fastest-growing franchise after jumping from 20 clubs to around 150 of them nationwide in the last three years. Rotche says he met Brees when he spoke at the University of Michigan’s School of Business to a bunch of NFL athletes who were looking to transition from the game at some point and diversify their revenue stream. Brees is no stranger to the franchising world either. He’s a co-owner of a Jimmy John&apos;s Gourmet Sandwich franchise in New Orleans, where he currently has eight locations and employs over 250 people. He’s also on the ownership side of Walk-On&apos;s Bistreaux & Bar. “What I love about franchising is that it gives people the opportunity to own their own business without having to go through the process of taking some crazy idea that they had and then go through the process of creating a business,” says Brees. While he’s not throwing in the towel on his football career any time soon, he says he is just enjoying the opportunity to learn about building businesses.